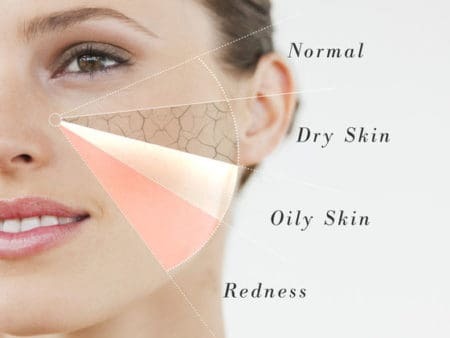 Whether you live in hot, humid weather, or just have oily skin, no one likes dealing with trying to keep their makeup on when they feel like they’re melting! Streaky foundation, wasted product, and more. So, what’s the solution? However, you probably already knew that. What you actually need is one of the best primers for oily skin, and we’ve got them all right here. Let’s get started! 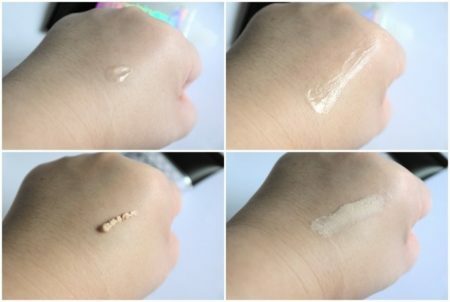 Now that you’ve had the chance to take a look at all of the best primers for oily skin, you’re probably curious to know more about some of them so scroll down a bit further, where you’ll find unbiased, in-depth reviews! 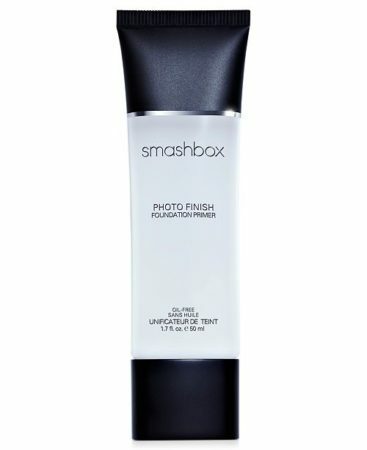 Undoubtedly one of the best primers for oily skin and large pores, is the legendary Smashbox Photo Finish Foundation Primer. Smashbox is a brand already known for producing high-quality beauty products that will make you wonder why you ever use anything else! 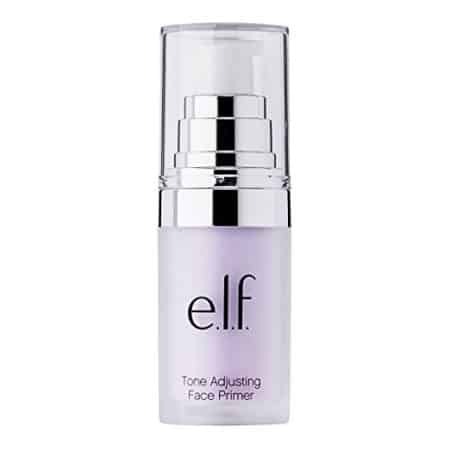 In fact, it is the #1 face primer brand in the USA, so that’s really saying something. The Photo Finish Foundation Primer is a transparent face primer gel which works to smooth skin appearance and texture, while blurring flaws such as large pores, fine lines, and wrinkles. In fact, it was originally created to help makeup look better and last longer while on sets of photo shoots and movies. If it can help make faces look better under the unforgiving eye of bright lights and cameras, then it can definitely help you in your everyday life look more smooth and flawless! With oily skin, having trouble with makeup staying on is very common. Put this one on underneath, and it will last for hours on end. Not only that, but it’s lightweight and oil-free, which means it’s not going to make your face even oilier, like many primers unfortunately tend to do. If that wasn’t enough, it also protects skin from environmental pollutants, damage, and stress by using antioxidants, vitamin A and E, and peptides. Not only that, but they’ve thought to include grape seed extract to regulate oil production, and green tea to soothe and improve the appearance of skin. 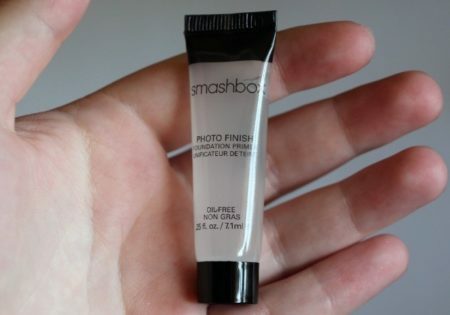 We absolutely fell in love with this Sephora primer, from the first time we used it. The bottle isn’t necessarily large, however, you can select a bigger size if you’d like. 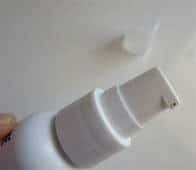 Despite the bottle being relatively small, it will last easily for months, due to the fact that you only need the tiniest bit to cover your face! 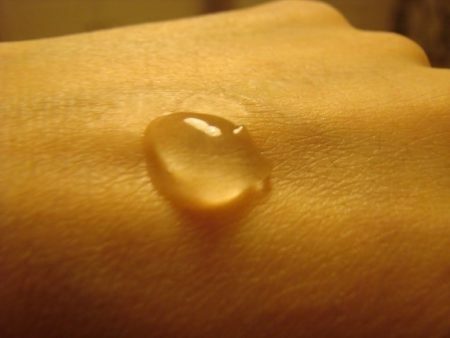 Squeeze out a tiny drop, and you’ll find it glides over the skin without needing much product. How does the primer itself feel? As previously mentioned, it is a completely clear gel. It doesn’t have an overly sticky feeling and doesn’t really feel like silicone, either. The consistency is lightweight, yet still holds together well. Even after applying it, you’ll notice that it isn’t oily at all, and if anything, works to even out oil production and create a perfectly-moisturized canvas for your makeup. After the first application, we noticed a big difference. Instead of highlighting large pores and imperfections, it actually did the opposite. It seems to fill in fine lines and pores upon contact, without aggravating the skin or making them more noticeable. It was actually surprising how quickly and easily it blurred imperfections without the use of any cover up or foundation. How is it with makeup, speaking of which? You’ll love how it works to “hold” foundation onto the skin while keeping it feeling light and natural. It increased our makeup wear time to around 9-10 hours, more or less. Not only that, but it helped the foundation just go on easier. No more worrying about streaking or unevenness; it actually made the makeup blend quicker and better. So, was there anything we didn’t like about it? Probably the price. While it does last for quite a long time, the price tag may be a bit expensive for some consumers. Have oily skin? 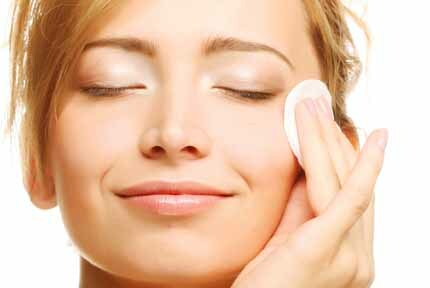 Or perhaps you have combination skin where you have some dry patches mixed with some oily ones. That can definitely make it hard to find the perfect foundation primer, but the bareMinerals Prime Time can help you out. It works to get rid of rough patches, flakes, and even help regulate excess oil. If you’re worried about little imperfections such as enlarged pores or fine lines, then you’ll also want to check this one out. It blurs imperfections with ease, creating an even, smooth texture and canvas for you to keep bare or apply makeup to. It will help extend the wear time of your makeup, so you’re not having to touch it up throughout the day. If you have irritated skin, you’ll find that this primer helps soothe and nourish it through the use of plant extracts, antioxidants, and vitamins C and E. It’s free of preservatives and irritants, so you can truly feel better about what you’re putting on your skin. We did like this foundation primer a lot, but found it to work best for combination skin, or if you’re going to be using powder foundation. While it does work with just about any type of foundation, we found that it works best with powders. This makes sense, as bareMinerals sells primarily powder foundations. With that being said, this face primer is made with mineral makeup in mind. It gives a solid base for it to attach to, but also works with liquids, and on its own. The product itself comes out generously, and with just one pump, you can easily cover your entire face, if not have a little left over. It glides easily over the skin, and doesn’t feel like pure silicone, like many other primers do. It will absorb a bit into the skin after a few minutes, but will still serve as a great base. How does it make the foundation look? It helps it blend easily, and makes sure you aren’t getting streakiness or random spots of makeup. Not only that, but it helps it to cling onto the face, without feeling unnatural or looking odd. If anything, it helps to keep excess oil at bay, while giving a smooth and almost airbrushed look. The Bellezza Secreto Premium Foundation Primer may not be something that you’ve heard of before, but it’s definitely one you should. The primer is an excellent choice if you’re looking for a budget product made of ingredients that aren’t harmful. On the contrary, the product is made up of ingredients like Vitamin A and E, which are known to help boost cell production and also has antioxidant qualities. Not only that, but it’s made without parabens, artificial fragrances, and is perfect for those with sensitive skin. It’s very lightweight and easy to apply, so you aren’t dealing with some sticky or greasy mess while trying to get ready and put-together. It also won’t clog pores, which is often a concern of those looking for one of the best primers for oily skin. Want to blur some imperfections? This one helps to do exactly that. Fine lines, wrinkles, enlarged pores, acne scars, and more; they’re all going to be smoothed out and filled in with just one use of this top primer. For how affordable this face primer is, we were very surprised at how well it worked. What first caught our eye wasn’t the price tag; it was the ingredients as well as the lack of certain others. If you have sensitive skin, then you should definitely put this one towards the top of your list, as the lack of harmful or irritating ingredients makes this a very gentle product. The unique waterproof gel works to hold makeup firmly onto your skin without feeling unnatural or looking like it. In fact, it helps to increase wear time for up to around 7 to 8 hours, and even makes blending easier and more seamless. And all you need is a thin coat to keep it looking its best. This one is a great option. It’s actually so great as a moisturizer that you can just use it on its own to hydrate and soften rough skin. Don’t worry about it making your skin oily, because it is great at regulating excess oil. e.l.f. is a brand that is known all around the world for creating beauty products that are not only inexpensive, but are actually worth using. Their Mineral Infused Primer is definitely one of our favorites from them, and we’re about to tell you all about it. This makeup primer creates a flawless base to use before you apply your foundation or any other products. It feels weightless and silky, and works to smooth and refine pores as soon as you rub it onto your skin. No matter the skin type, it is made to work for you. It’s made to fight excess oil, dry skin, enlarged pores, as well as fine lines and wrinkles to help give you a flawless look even before you add on the makeup. You’ll need to make sure to apply it to clean, well-moisturized skin, and only use a tiny drop to begin with, blending evenly across the face. It’s probably the most affordable primer we’ve come across, which makes it great for just about anyone’s budget. Not only that, but it comes in various colors: Clear, Brightening Lavender, Tone Adjusting Green, and Radiant Glow, which is like a fleshy pink color. As the instructions indicate, you really do only need a tiny amount to cover your entire face, well. You don’t want to apply too much, as it will end up having the reverse effect. The product itself does feel very gel-like, but soon after applying, started transforming into this powdery feeling. This works to help regulate any excess oil you may have going on. Not only that, but it also helps keep foundation on much longer. If you have dry or particularly oily skin, you may encounter this problem often. Now you can save money and time by not having to reapply your makeup every couple of hours! With the tinted primers, you should expect it to change the color of your skin a bit, so if you don’t want that, then it’s best to just stick to the clear version. Honestly, not really anything. There’s a very slight “silicone-y” smell, but you’re not going to notice it at all once you put it on. We loved that it also didn’t make our skin break out. If you have sensitive skin and are worried that this is just going to clog your pores or irritate your skin, don’t. It is great for those who are prone to breakouts or adverse reactions with new products. However, it also works wonderfully for those with oily skin. So, what didn’t we like about this top rated primer? Honestly, the only thing is that the first couple seconds after applying it to our skin, it did feel a bit greasy. As previously mentioned, it does quickly turn into a more powdery feeling, so it’s not too concerning, but it’s good to keep in mind. The powdery feeling is great, as it helps to regulate excess oil, shine, and overall just provide an even canvas for makeup. As previously stated, not each primer is made the same. This also goes for terms of comfort. If you’ve ever used an uncomfortable primer before, then you know exactly what we’re talking about. Sometimes you’ll get one that just feels like it’s smothering your skin. It’s slimy, greasy, and just feels like you can’t escape the feeling of something on your face. Want one that’s actually pleasurable to put on? 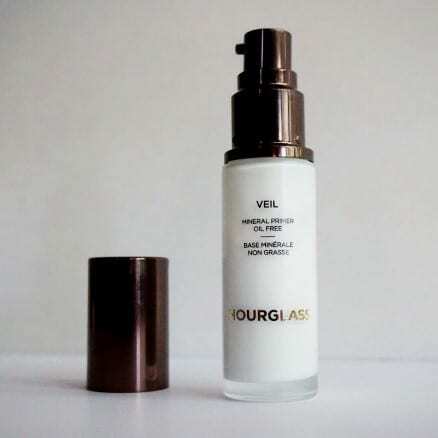 Then check out the Hourglass Cosmetics Veil Mineral Primer. 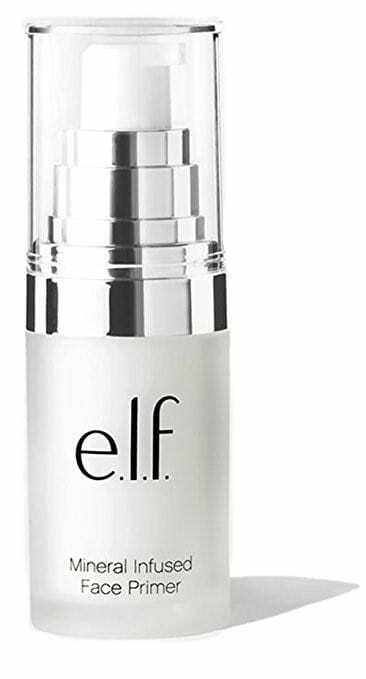 This primer not only helps to extend the wear of foundation and provides a near-perfect complexion that will last you all day without having to worry about touching up all the time; it also feels amazing to put on. 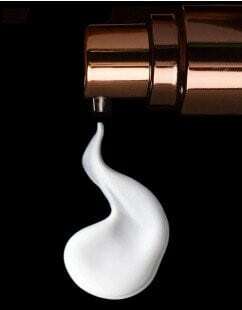 The liquid is a kind of cream that’s silky, airy, and has an almost cloud-like feel to it! You only need a bit to cover the entire face and create a canvas perfectly prepared for makeup. Have imperfections you want to conceal? Try this one out. It helps conceal redness, minimize enlarged pores, and helps blur the appearance of fine lines and wrinkles. Not only that, but it even features broad spectrum SPF 15 protection to help protect your skin against harmful UV rays! The mineral-based face primer is specially-made to neutralize skin, which is wonderful if you have oily skin. It won’t aggravate your skin even further, producing even more oil or clogging pores. The water-resistant primer lasts all day long, and works to get rid of shine even after hours of use. Well, we saw less shine for around 9-10 hours. Not only that, but it helped to prolong the wear time of makeup and it lasted about that long, as well. From the first time we put it on, we loved how it felt! It feels creamy, yet very lightweight and airy. So light, in fact, that we wondered if it even had the power to hold makeup on or regulate oil. However, we were surprised (pleasantly) to find out that it not only did it, it did it well! It contains 2.45% of titanium dioxide, which helps to protect the skin from harmful UVA and UVB rays. It’s a much healthier alternative to the traditional, chemical-packed sunscreens. Not only that, but it is a great anti-inflammatory! Things like synthetic dyes, fragrances, oils, parabens, sulfates, and phthalates. Pretty much everything that we don’t want in our face primers. The fact that it’s also gluten-free and vegan is amazing, and makes the best primer more available to many more consumers out there! So, how does it work to keep skin looking its best? It actually absorbs excess oil while simultaneously working to reflect light off of all of the imperfections, reducing the appearance of anything you don’t want attention brought to. What’s more, is it can even help conceal redness, up to the point of Rosacea. No more having to use cover up on redness to try to conceal it, while increasing the risk of aggravating the skin further. So, is there anything we didn’t like about this primer? Actually yes, but it was only one thing. The price tag is a bit steep. 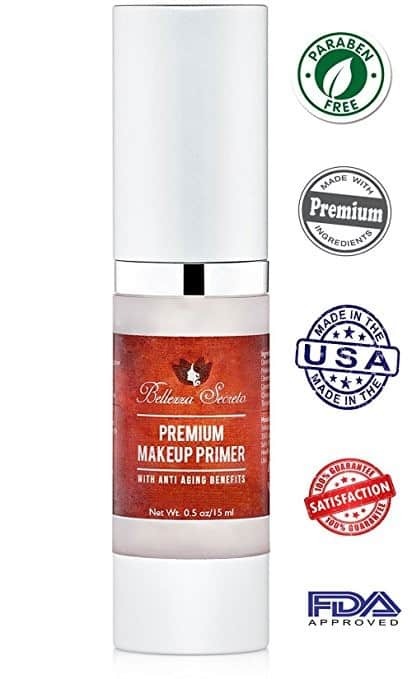 However, keep in mind that this is undoubtedly one of the top primers out there and does last a very long time, considering the portion you receive. Now that you’ve had the chance to read about each of the primers for oily skin, you may have already decided which I’d the best for you. However, if you’re still undecided or confused about which one is best for your needs, then there’s no need to worry! We’ve gone ahead and come up with this buying guide to make sure you’re completely happy with your new primer! Depending on the type of foundation you use, you’re going to want to go with a different foundation primer. It’s true that while most primers work well for all foundation typed, there are some that work better with certain types. For example, bareMinerals primer undoubtedly works better with powder foundation, as that’s primarily what the brand offers. Yes, we’re just here to talk about the best primers for oily skin, but not all oily skin is the same. Oily skin can be completely slick, or it can occasionally have dry patches/flakes in other parts. This can make it difficult to find just one primer. If this is your situation, there are some options that we have featured on our list to choose from. Just make sure you read through the details and select an appropriate one. There are many people out there who don’t really think twice about the ingredients which make up their…makeup. However, there are just as many, if not more, who do. It could be for health concerns, moral concerns, or personal preference. In this case, we always like to list any potentially controversial or harmful ingredients so you, as a consumer, can be informed as best as possible. For example, if you’re vegan or only use cruelty-free products then there are plenty to choose from. As always, we feel it’s important to have a solid idea of a budget before you go looking for your new face primer. Think about how much you realistically would feel good spending, and try not to stray from that number. However, it’s also important to note only look at the final ticket price, but also how long the product is going to last. Do you need multiple pumps of the product to cover your face? Then it may not be as “budget-friendly” as it seems. That more pricey item may be much more desirable after realizing it will last you close to a year. Again, take it all into consideration. Now that you’ve done an in-depth read-through of each of the best primers for oily skin, you may have already decided on one for you. However, if you haven’t, let us reiterate how much we loved our two favorites: the Smashbox Photo Finish and the Hourglass Veil Mineral Primer. Both of them work to substantially extend makeup wear time while creating a flawless, smooth surface to begin with. The ingredients are well thought-out and safe in both, and the material itself isn’t slick, sticky, or in any way uncomfortable. They help blend makeup easier, while making the skin look soft and smooth, while making sure it’s hydrated, while not overhydrating skin. So, which one of these best primers for oily skin is making its way into your bathroom?